The new year started with sharp declines in the Chinese stock market that spooked investors around the world. But in recent weeks, conditions appear to have stabilized. Lending in China rose in January by 67%, iron ore prices rallied by 64%, and housing sales in China's top four markets also surged. The yuan also regained about half of the 7% it had lost against the U.S. dollar since November. About $800 billion of debt was added to the Chinese economy in January, but it failed to boost production or increase sales. Producer prices dropped by 5.1% in January-February, while the manufacturing PMI fell to 48 in February from 48.4 in January, signaling further economic slowing. The market is apparently not convinced that the government can keep inflating an already overleveraged economy. The recent pause in the Chinese markets was engineered by a new round of manipulation by Chinese authorities that will not be able to hold back the adjustments that need to occur for long. As Anne Stevenson-Young and Kevin Dougherty recently warned in The Wall Street Journal, "[f]rom hiding capital outflows to propping up real estate values, manipulating futures markets and squeezing short sellers of the yuan, Chinese authorities have been trying to bring back the old, quasi-superstitious belief in Beijing's omnipotence." They go on to warn that "[c]ommodities, emerging market equities, and multinationals with exposure to China have already started to realize significant losses. Soon major corrections will reach other assets boosted by the Chinese economy, such as property values in Hong Kong and Singapore. When this unfolds, U.S. government bonds may be the world's only safe haven. 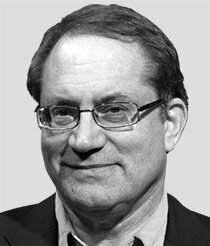 The end of the China story is at hand." Many native Chinese appear to believe that is the case. Money continues to try to leave the country in droves. 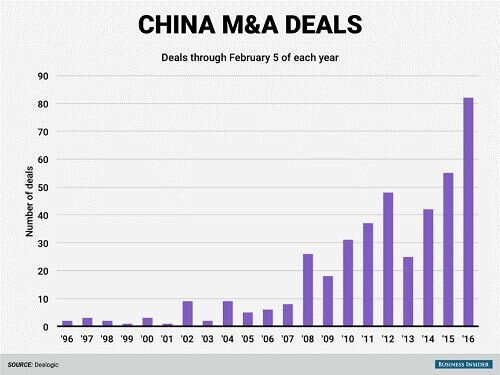 A recent wave of large merger and acquisition (M&A) transactions by Chinese companies is one sign that they're trying to diversify their assets out of China. In the first six weeks of 2016, there were $82 billion of deals announced by Chinese firms, not including a $14 billion bid for Starwood Hotels & Resorts Worldwide Inc. (NYSE: HOT). Chinese companies have bid for General Electric Co.'s (NYSE: GE) appliance assets, equipment maker Terex Corp., Norwegian web browser Opera, Swiss pesticides maker Syngenta, technology distribution company Ingram Micro, and the Chicago Stock Exchange. Chinese companies appear desperate to escape the clutch of a currency that has to drop in value in order for China to survive economically. The problem is that what happens in China will not stay in China. The world is experiencing a commodities bust originating in China just like it experienced a housing bust originating in the United States a decade ago. Unfortunately, the commodities bust is much larger than the housing bust. China's debt has exploded from $7 trillion in 2007 to over $30 trillion today. The Chinese economy can't possibly service that much debt. It is going to have to devalue its currency in order to survive. It will do so slowly, but it will do so eventually. And when it does, the sell-off in China will continue and hurt markets around the world. If the yuan heads lower, other Asian currencies will follow. We already know that the Japanese want to cheapen the yen in order to boost economic growth. But other currencies like the Singapore dollar are also likely to follow despite Singapore's image as a strong currency state. Singapore's banking system grew tremendously over the past five or six years but is now shrinking. The same thing is starting to happen in Hong Kong. When China's economy began to weaken, money flooded out of China into Hong Kong, which depressed interest rates in Hong Kong. But recently money has been leaving Hong Kong, which has pushed interest rates higher there. If rates rise in Hong Kong, it will hurt the stock market and its inflated real estate market. Hong Kong has significant geopolitical implications due to its complex relationship with China, so it is important to keep an eye on the former British colony. Problems in Hong Kong could have serious destabilizing effects on global markets. The Hong Kong dollar, which is pegged to the U.S. dollar, is also being called into question. The Hong Kong Monetary Authority has said it will defend the Hong Kong dollar, but it will be increasingly difficult to do so. Both Singapore and Hong Kong are at risk of banking crises as a result of what is happening in China. I frequently observe that the death of currency (including the devaluation of the yuan) will go hand in hand with the Super Crash. As I have written repeatedly, the only defense against this is to buy gold, silver, and other tangible assets. First, they can short all emerging markets by selling the iShares MSCI Emerging Markets ETF (NYSE Arca: EEM). Second, they can short the Chinese stock market by shorting iShares China Large-Cap ETF (NYSE Arca: FXI), which has traded between $52.85 and $28.81 over the last year and is currently at $33.38. They can also short the iShares MSCI Singapore ETF (NYSE Arca: EWS). Editor's Note: The ripple effect from China's tanking economy is just one of the factors pushing the markets toward a $200 trillion "Super Crash." This year, your most valuable asset may be Michael Lewitt's free Sure Money service. In Sure Money, Michael helps you see what's going up, what's going down, and how to profit. Sign up now by clicking here, and you'll get instant access to all of Michael's investing tips, recommendations, and specific instructions, including his exclusive "Super Crash Report."